177.16a. 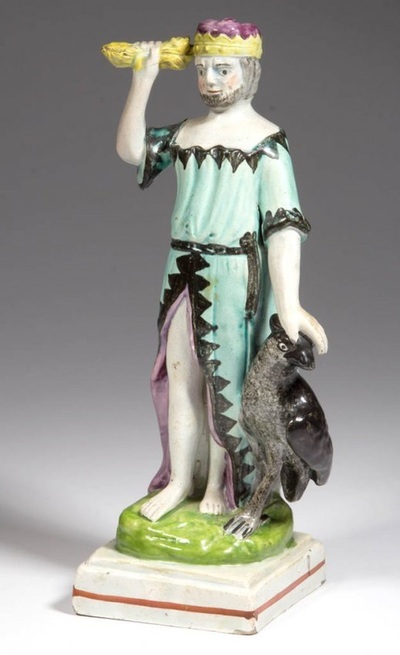 This figure of Juno, like the one shown in 177.16, is attributed to the Brown Base Group, but the crown on her head differs from the "head gear" worn by 177.16. Courtesy madelena.com. 177.21-23. 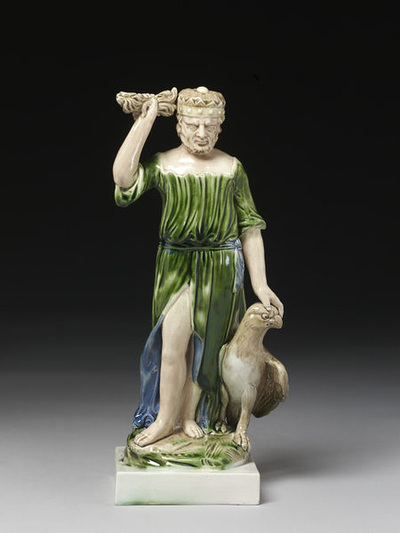 The figure of Juno in 177.21-23, below, is like the interesting example shown in 177.18-20. It too may have been made by the Brown Base Group or Lakin & Poole--in fact, the pale marble base is rather suggestive of Lakin. 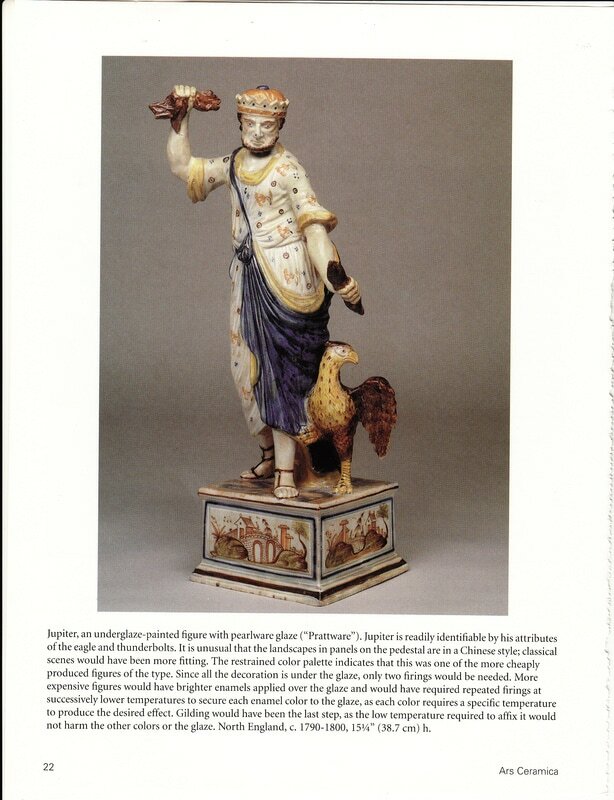 A figure of Mars (Volume 4, figure 182.2-3) is on a base decorated in the very same manner and also titled on the reverse. Shown for interest although they are somewhat beyond the scope of this work is the figure of Jupiter below, paired, it seems, with Ceres. The bodies are somewhat porcelaneous and the decoration is suggestive of the 1830s-40s. 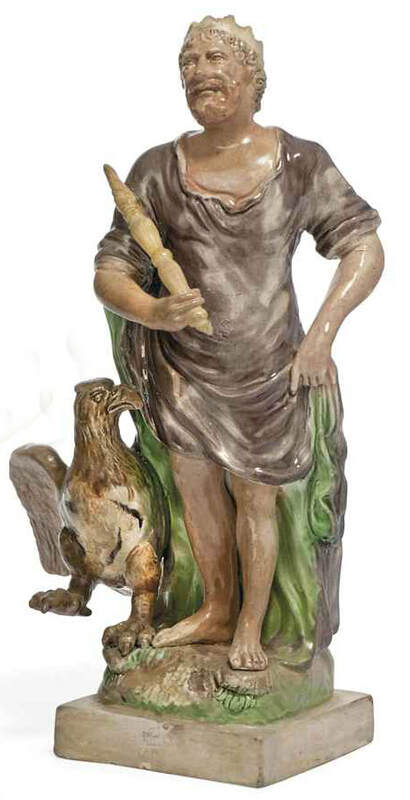 Like the splendid figure in177.10 but decorated under the glaze. From Ars Ceramica. 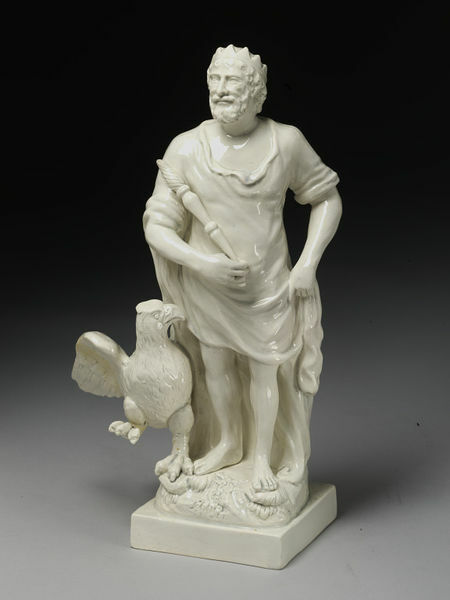 The figure is in the Levine Collection, Nassau County Museums, NY. Please contact me if you can help me acknowledge the source of this photo. Impressed "79" and "Ra. Wood Burslem." (c) Victoria & Albert Museum, London. Impressed "Ra. Wood Burslem." (c) Christie's.